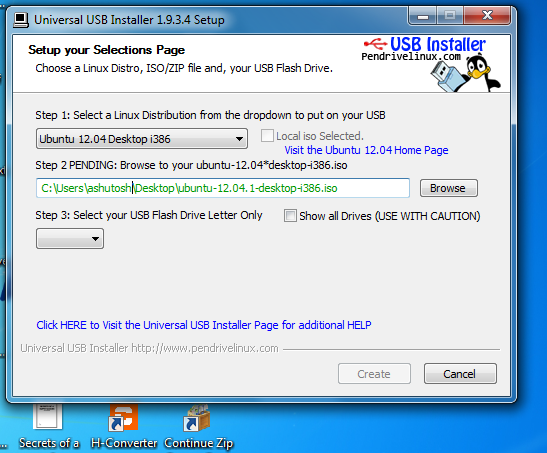 In this tutorial I will tell you about How to install Ubuntu on pen-drive using Windows. Step1-> Firstly download the .iso file of linux distribution which you want to install. 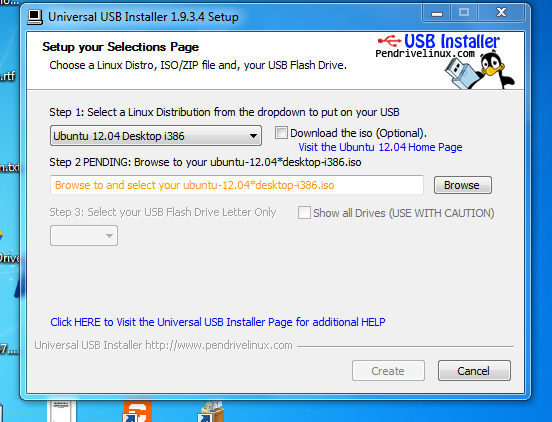 Step2-> Download the "Universal USB Installer" on your system. Step3-> Run the exe of Universal USB Installer. Step4-> Select your Linux distribution from the drop down list. Step5-> GO to browse button and browse the .iso files from your hard disk. 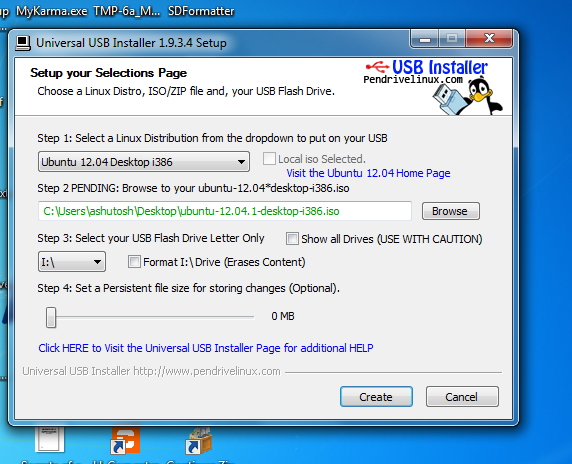 Step6->Select your USB device onto which you want to install Linux. Step7-> In the last step click on create button it will open a black window(command prompt) and it will take some time to install the Linux OS onto your pen drive.